From the time the log-cabins fell into disuse and the first frame business and house dwellings began to appear, Kansas City has had fire protection. Few cities have been so fortunate as Kansas City in escaping disastrous fires. In the beginning, neighbor helped neighbor. Later fire companies were formed which were also social organizations. The few men who formed the fire company were associated with both socially and in fighting fires. The head of the fire company’s social order was the foreman. The first fire company in Kansas City was organized in 1837. After the war, the revival of commercial enterprises and erection of new buildings, came the need for better fire protection. Not long after the water works department had been established the city installed fire hydrants. Today, the Kansas City Fire Department is operated by the city under the command of fire Chief, Paul Berardi. There are 34 fire stations under Kansas City’s seven battalions. My husband and I have a game we play, taking pictures of the fire truck and the firemen at the local Westport grocery store. We see the fire truck at the grocery store a lot. We try to get a picture of the guys buying junk food and stuff in between emergency and non-emergency calls. 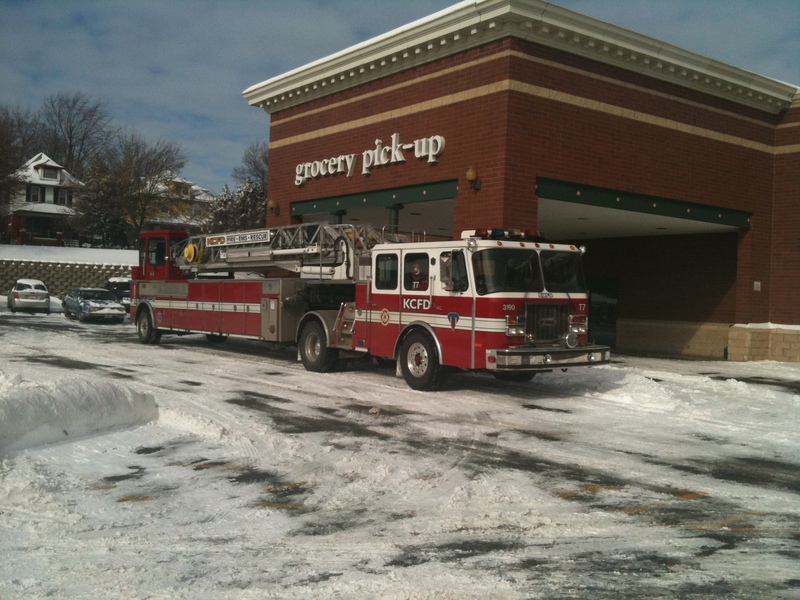 We understand that when there is a non-emergency, the fire trucks often have time to stop at the grocery store after going on a call. But their impulsive buying habits make my husband and I laugh.